#16 - "Star Trek : The Next Generation" - Behind the Scenes! 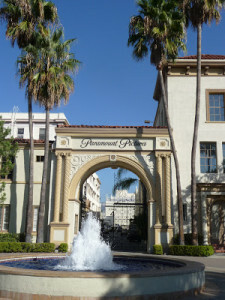 (Part 1) • Where Hollywood Hides... the home of classic TV, movies, music, & celebrities! 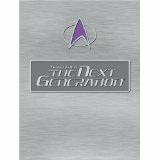 Suzanne and Bob continue the conversation about Bob’s work as writer-producer on the second season of Star Trek: The Next Generation for Paramount Television. He describes his fancy office–on the same studio lot where he got his start as a gopher on Mission: Impossible— and recounts his first meeting with martinis-at-lunch Star Trek creator Gene Roddenberry. You’ll hear details of stormy studio politics and the constant friction between studio management’s efforts to control costs in the face of Roddenberry’s creative clout. 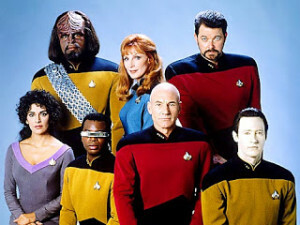 It was a world where not many survived a full production season, and the revolving door of writers, producers, and directors on ST: TNG is the stuff of industry legend. “The Icarus Factor” is in this set! Bob gives his unvarnished impressions of certain cast members and gets a bemused reaction from Suzanne as he describes the Shakespearean complexity of working on the show, making it sound like a Klingon Ascension Ceremony: You’ll then learn the secret of surviving as a writer on the staff of any hit television series, with Bob revealing his process for writing credible science fiction in pursuit of Roddenberry’s original Star Trek vision…while admitting that in writing The Icarus Factor, he actually tried to kill off the captain of The Enterprise!